Choose from a range of transactional payment gateways for your transactional website. Connect your e-commerce to a payment solution and start selling online. 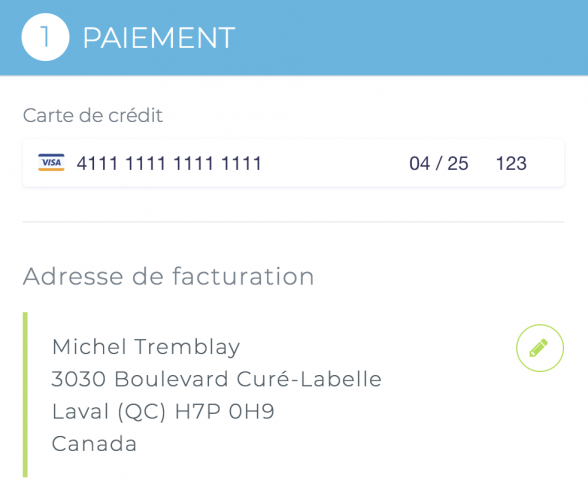 Whether you choose Stripe, Moneris, Desjardins Monetico, Global Payments, Authorize.net or Paypal. Simplify the buying process with a transition to the quick checkout on one page. The saved payment information is encrypted and only your customer will be able to access it. Need to create a transactional website?